Fuel cell aspirant raises big money, cuts staff, and looks to integrate UTC acquisition. The corporate maneuvers continue at ClearEdge Power of Hillsboro, Oregon, a manufacturer of proton exchange membrane (PEM) and other types of fuel cells. 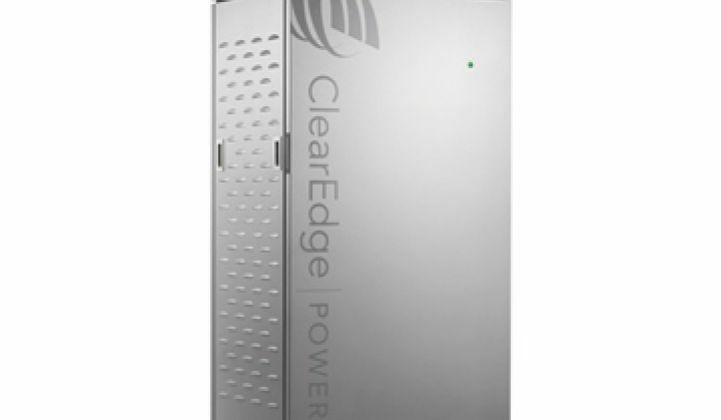 In December 2012, ClearEdge acquired fuel cell industry veteran UTC Power. UTC Power is a maker of large-scale phosphoric acid fuel cells (PAFCs), although the firm also has experience with PEM, alkaline fuel cells (AFCs), solid oxide fuel cells (SOFCs), and molten carbonate fuel cells (MCFCs). Last week, ClearEdge announced layoffs affecting 39 percent of its workforce, according to Oregon Live. This week, ClearEdge announced a $36 million equity raise, reported in Bloomberg. One would imagine that the layoffs and funding were connected events. ClearEdge has raised more than $136 million in VC funding since its inception in 2006 with investment from Kohlberg Ventures, Applied Ventures (the investment arm of Applied Materials), Big Basin Partners, and Southern California Gas Company. The investors in this most recent round were not disclosed. As we've reported, ClearEdge's core product is a modular PEM going after combined heat and power (CHP) applications at hotels, multi-tenant buildings and schools, with power ranging from five to 200 kilowatts. ClearEdge claims its fuel cell can reduce CO2 emissions by up to 40 percent, along with producing "negligible" NOx and SOx. The fuel cell runs on natural gas, propane, or methane and can export excess heat for hot water, forced hot air, or hot-water cleaning. Other players in the small stationary fuel cell space include Ceramic Fuel Cells, Panasonic, and Ceres Power. When last we checked, a 5-kilowatt ClearEdge unit had a $56,000 list price and an installation cost ranging from $10,000 to $20,000. There is a $15,000 investment tax credit. California has a Self Generation Incentive Program (SGIP) that can return $12,500, more if biogas is employed. There is the potential to exploit the SGIP for another 20 percent if the vendor is a California supplier (the approved list is currently limited to Bloom, FlexEnergy, Calgen, and Stem). New York, New Jersey, and Connecticut also have aggressive state incentive programs. ClearEdge might be able to outperform batteries and other fuel cells, but the problem is that the real competition is the grid and diesel gen sets. And few if any fuel cell vendors have proven that they can go head-to-head with those incumbent technologies on a per-kilowatt-hour basis. Fuel cells can be distributed and do have less emissions. Natural gas is cheap. But for fuel cells dependent on the natural gas grid, there's the downside of volatile prices and the sometimes less-than-green processes used to extract natural gas. Fuel cells have benefited from state and federal subsidies, or in the case of Bloom, Delaware ratepayer bill subsidies. The justification for renewable energy subsidies is often debated in these pages. 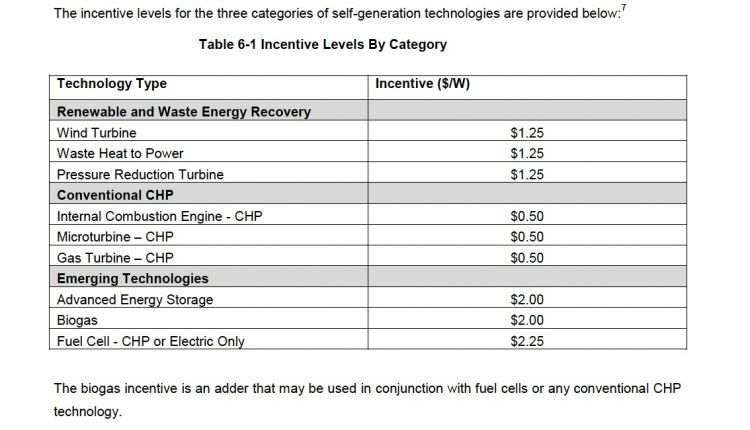 But in the case of fuel cells, even after incentives, the fuel cell is expensive compared to the grid or to a diesel gen-set. What happens to ClearEdge, UTC and the fuel cell industry when those subsidies subside? According to Sustainable Business Oregon, ClearEdge employs 70 people, down from a high of 150.